The best way to backup an OST file for Microsoft Outlook is to convert it to a PST file with the help of Outlook Export Wizard. But what if there are multiple OSTs available for backup or in case Microsoft Outlook is built using iMAP Settings, or the user wants to retrieve some of the permanently deleted mail components? Then the Microsoft Outlook utility poses limitations. There are two different ways to backup Outlook OST file. One by archiving and the other with the help of Export/Import wizard. The process of archiving the data involves moving the OST mailbox folders to PST file format. Note: Make sure you select the <Root> of the folder tree as the starting point and also check the ‘Include Subfolders’ checkbox. Once the process is complete, open the newly created PST file to ensure that the data in the PST file is accessible and complete. Once the data-check is complete, right click on the <Root> of the PST file and select the option ‘Close’. When you are using the iMAP settings for Microsoft Outlook, your data is available in an OST file or a PST file or a combination of both. This creates complexity in backing up the Outlook OST file, especially the mailbox components including emails, contacts, calendars, tasks and more in an iMAP account. Reason being, for an iMAP account, the emails and the other mail components are stored on iMAP Server and are synched with Outlook, which saves these components in a local cache file on the computer. For the latest Outlook versions such as Outlook 2013, Outlook 2016, Outlook 2019 and Office 365, the mail cache is available in an OST file format. When you try to back up the Outlook OST file, you may not be successful if the OST file is corrupt. The synchronization error does not allow the OST files to synchronize with the Exchange server. Further, the users are unable to open their OSTs on their system, leaving the OSTs in an orphaned state. In such a case, when multiple users are unable to access their OST files, it is best to convert the available OSTs into PSTs, reconfigure Microsoft Outlook email client, and import these PSTs in the newly configured Outlook. OSTs may also get corrupt due to various Outlook errors such as Outlook is performing a step at the backend and the user terminates the email client by clicking ‘End Task’. A virus or malicious software attack may corrupt multiple OST files which cannot be repaired using Outlook utility ‘Scanpst.exe’ thus leading to inaccessible OST files. If an email or another mail component like contact gets deleted accidentally, then the archive method and the Export/Import wizard do not provide an option to recover the deleted emails or other components. Apart from these functions, the software also helps in minimizing further chances of PST file corruption with its Compact and Split option. Data protection investments are better categorized as insurance expense. These are the costs which do not drive any revenue but prove worthy when something untoward happens. Microsoft Outlook is an email client that is used for business-critical mailing data! 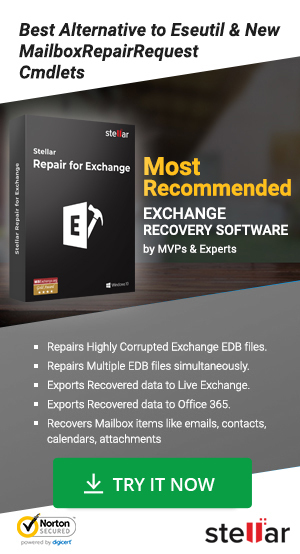 If something untoward happens with Outlook, then the best way to recover from this situation is to restore Outlook data with adequate backup. However, choosing an appropriate method to backup your Outlook OST file is also essential. When manual methods pose so many limitations, it’s better to invest on an OST to PST converter software such as Stellar Converter for OST to get sure-shot results with much ease and convenience.